Shopping with a list can help organised consumers save money. 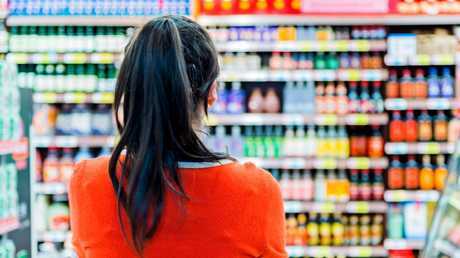 TEMPTATION at the supermarket to throw unnecessary and unplanned groceries into the shopping trolley can quickly lead to an inflated bill at the checkout. Latest statistics show Australians spend on average between $80 and $280 per week on groceries and eating out, so here's five simple ways you can instantly bring your shopping bill down. Stick to your guns when you're at the supermarket by coming armed with a shopping list so you don't go wandering the aisles and making purchases you don't need. Keep a detailed shopping list on your fridge or somewhere you can easily add to it when an item you need comes to mind. Shopping with a list can help reduce the chance of buying items you don’t need. 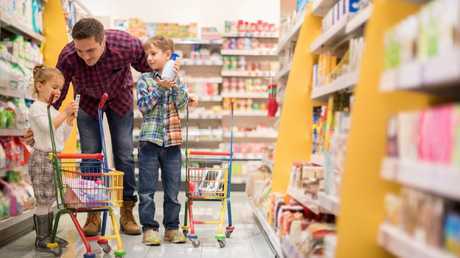 This will help you from forgetting items at the supermarket and also having to go to the local convenience store to do a stopgap shop and often pay a much higher price. Sign up to free supermarket rewards programs - Coles shoppers can collect FlyBuys points while Woolworths customers can collect Rewards points just by scanning their card at the checkout. Woolworths' commercial director of long life, space and insights Peter McNamara said loyalty programs can help customers reap the rewards with cashback on future shops. "With Woolworths Rewards customers can save $10 on their next eligible shop each time their balance hits 2000,'' he said. Usually on both programs customers earn 1 point for every dollar spent at participating stores and outlets. If you're shopping at big supermarkets or online grocery retailers the unit price and unit measurement of a grocery item must be displayed alongside the selling price. This helps consumers compare apples with apples and work out if they are paying a good price or not. Reading unit pricing will help you understand if you are paying too much for an item. In most cases buying a larger quantity at an overall higher cost will make the unit price cheaper, but this sometimes isn't the case when there's specials on the same item of a smaller size. This is an easy way to bring your prices down without paying for a branded product. Coles spokeswoman Martine Alpins said there's loads of items which have the generic Coles brand that will lead to significant savings. "Our own brand offers great value so customers can save each week on items like eggs, pasta, milk and bread without having to compromise on taste or quality,'' she said. Woolworths' Mr McNamara said they roll out a catalogue every week so customers should grab a copy either dropped in their letterbox or they can view it online. 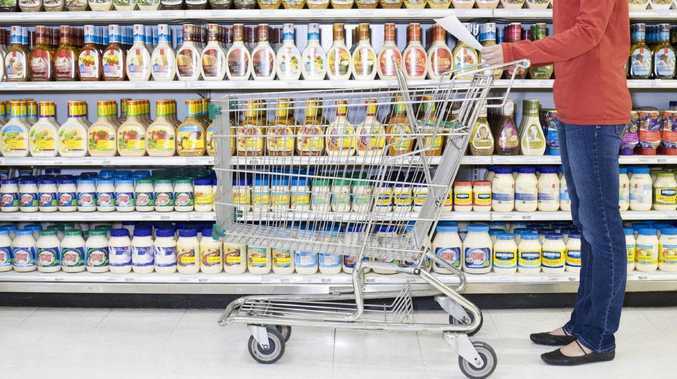 This will help shoppers stock up on goods at a reduced price. "We publish a new catalogue every Wednesday so customers can see all the latest specials and offers to help them get the most out of their grocery budget,'' he said.